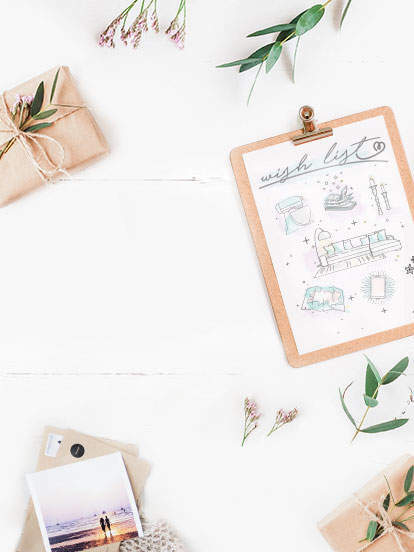 How can I add gifts to my wedding registry? Customizing your wedding registry on Zankyou is very easy! We offer you a wide catalog of gift ideas sorted by brands and categories. Once the gifts are on your registry, you can change them at will! You can also create your own gift ideas with a simple form where you just enter a price, a description and a picture. You can even add the steps of your honeymoon, which will then be shown on a map for a rendering always more playful for your guests!